The All-New Focus Active Discover the all new Ford Focus Active, more comfortable interior, advanced technology and economy. Further details to be announced shortly. 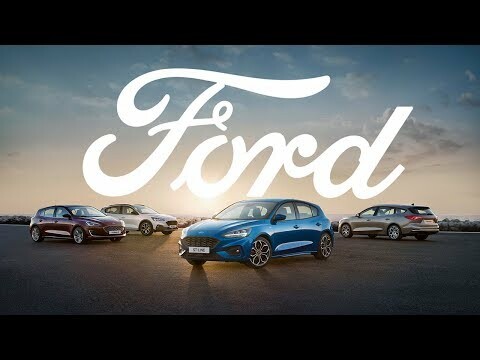 Ford Focus Active is the first Focus crossover model, which follow on from the success of the Fiesta Active which was launched in Spring 2018. It combines SUV inspired styling with Focus driving dynamics for a hatchback experience like no other. Active in more ways than one. With a heightened sense of adventure and a large measure of exhilleration: the Focus Active has it all. Presenting the latest model to Ford Focus range, the Vignale. Experience the All-New Ford Focus Vignale & explore the features of the luxurious small car here. Technology should always have a purpose. And when you start your All-New Focus Vignale, you bring to life a whole range of advanced features and systems. Get ready to experience technologies so smart and so useful you’ll wonder how you ever did without them. When smart technologies work effortlessly in your home, they should do the same in your car. That’s why All-New Focus Vignale is equipped with SYNC 3 to make life easier and an openable panoramic roof to make every drive more enjoyable. Get ready to discover all this and more in a space that gives you all the comfort and convenience you could possibly want. Clean lines, a sleek layout and sophisticated look. The interior of All-New Focus is more comfortable, spacious and modern than ever before. And now, you and your car can stay connected wherever you are. The optional new FordPass Connect modem brings you a range of invaulable features such as Live Traffic, Wi-Fi Hotspot and eCall. Download the FordPass 2.0 app on your smartphone and you can access even more FordPass Connect features. For example, remote locking & unlocking, remote starting (auto transmission only), vehicle location and more. The power you want and the efficiency you need. The All-New Focus is available with a range of powerful and highly fuel-efficient engines, all complemented by 8-speed automatic or 6-speed manual transmissions. The exterior design has also been sculpted to create a shape that's both athletic and aerodynamic, whilst helping to improve efficiency further. Car journeys need not be a disruption to your connectivity. Ford SYNC 3 has been designed to integrate seamlessly with your smartphone, letting you control everything from phone calls and text messaging to music and satellite navigation – all via the touchscreen or through remarkably simple voice commands. Option on Style. Standard on Zetec and above. Manage your phone, music, apps, and navigation all with simple voice commands. Receive clear turn-by-turn directions to your selected destination and search for additional points of interest to set as waypoints along your route. The SYNC 3 touchscreen supports multi-touch ‘swipe’ and ‘pinch-tozoom’ gestures and lets you arrange application icons and background displays as you would on your tablet or smartphone. Auto High Beam can detect oncoming vehicles and automatically dip your beams for you. Only available with Traffic Sign Recognition and Driver Alert System. Standard on Titanium, Titanium X, ST-Line X and Vignale. ​Active Park Assist will park your Focus for you. The system locates suitable parallel or perpendicular parking spaces and can automatically steer you in. All you need to do is operate the accelerator, brake and gears. All-New Ford Focus available to order now. The All-New Ford Focus is now available to test drive at all of our Ford dealerships in Telford, Shrewsbury & Oswestry. The first orders being delivered in time for 68 Plate in September.